Kyiv-based Ukraine International Airlines (UIA) received on Tuesday an official notice from Russia's Federal Air Transport Agency (Rosaviatsia) of a ban on carrying out flights to Russia as of October 25. The notice was signed by Rosaviatsia head Konstantin Makhov, UIA Press Secretary Yevhenia Satska told UNIAN. "Due to the ban announced by Ukraine's State Aviation Service on Russian airlines' scheduled flights to/from Ukraine during IATA's 2015/2016 winter season, starting from October 25, 2015, we hereby inform you that in accordance with an order issued by the Transport Ministry of Russia based on provisions of the agreement signed by the Russian and Ukrainian governments on air communications and cooperation in air transport on January 12, 1994, the permit will not be provided to your company with regard to its scheduled flights to/from Russia during IATA's 2015/2016 winter season until Ukraine's ban on flying to/from Ukraine imposed on Russian airlines has been lifted," UIA's press service quoted the notification. As was reported earlier, Russia responded to Ukraine's move to ban Russian airlines from Ukrainian airspace with retaliatory measures, barring from October 25 the Ukrainian airlines from flying to Russia. 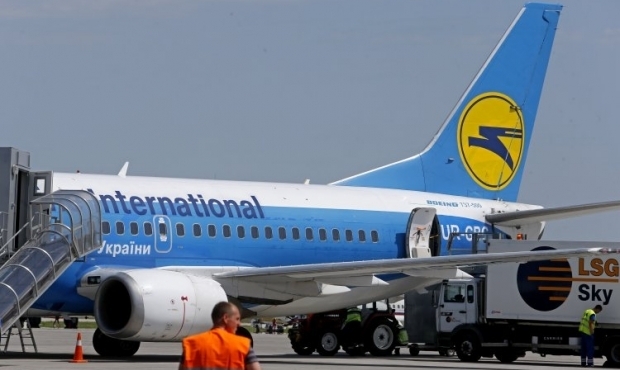 On September 28, Ukraine's State Aviation Service sent a warning to the Russian airlines, which fell under sanctions in accordance with a decision by Ukraine's National Security and Defense Council (NSDC) on a ban to fly into Ukraine from October 25, 2015. Earlier, on September 25, Ukrainian Prime Minister Arseniy Yatsenyuk announced that under NSDC decisions, Ukraine's Cabinet of Ministers had decided to toughen anti-Russian sanctions by banning flights carried out by Russian airlines, namely Aeroflot and Transaero. Ukraine also banned transit flights of Russian airlines through Ukrainian airspace if they carried defense goods, duel-purpose equipment, or Russian military personnel. On September 16, Ukrainian President Petro Poroshenko enacted a decision taken by the NSDC on September 2 to introduce sanctions against about 400 individuals and more than 90 entities from the Russian Federation and other countries, who are involved in the annexation of Crimea and aggression in Donbas. The sanctions were introduced against the following Russian air carriers: the 224th Flight Unit, VIM Airlines, Gazpromavia, Donavia Airlines, Kogalymavia Airlines Ltd., Orenburg Airlines Federal State Unitary Enterprise, Aircompany Polet, Red Wings, State Transport Company Rossiya - Russian Airlines, RusJet, RusLine, Siberia Airlines, Transaero Airlines, Ural Airlines, Yakutia Airlines, Yamal Airlines, and others.